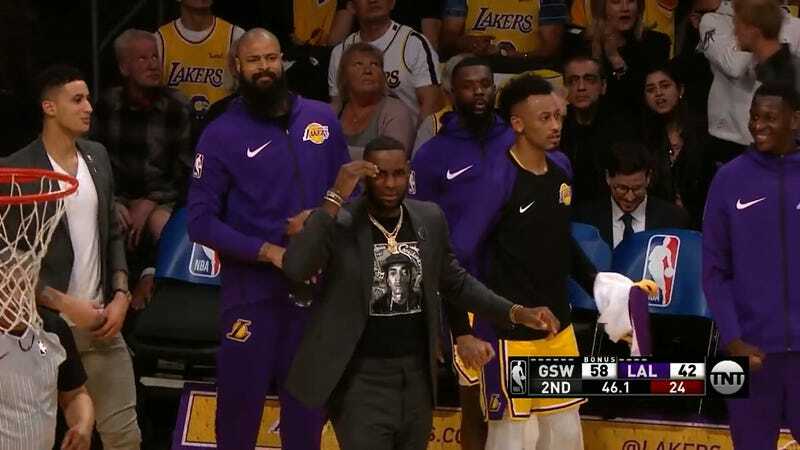 Since the Lakers were eliminated from playoff contention and have shelved LeBron James, there’s nothing left for the healthy part of the team’s roster to do but maybe show off and hopefully convince the unofficial player-GM to keep them around next season. (Or, alternately, they could show off then escape to a more functional organization.) Lakers guard Alex Caruso took Thursday’s game against the Warriors to throw down a sweet dunk—off an ill-advised Rondo three, naturally—and baffle the rest of his teammates. Previous PostPrevious Could Arrow’s Flashforwards Live on Beyond the Show’s End?